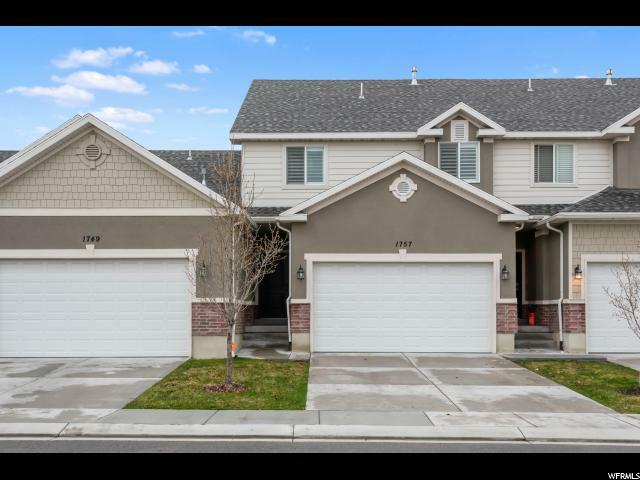 All CEDAR HOLLOW TOWNHOM homes currently listed for sale in Riverton as of 04/26/2019 are shown below. You can change the search criteria at any time by pressing the 'Change Search' button below. "3 Bedroom with 3 1/2 bathroom townhome. Fully finished basement w/ bathroom! Vaulted ceilings, granite countertops, updated cabinets and floors. Laundry on top floor. Large 2 car garage. Large closets. Fenced backyard w/ HOA maintenance of lawn. Great neighborhood, close to freeway. Come see it today!! Square footage figures are provided as a courtesy estimate only. Buyer is advised to obtain an independent measurement."